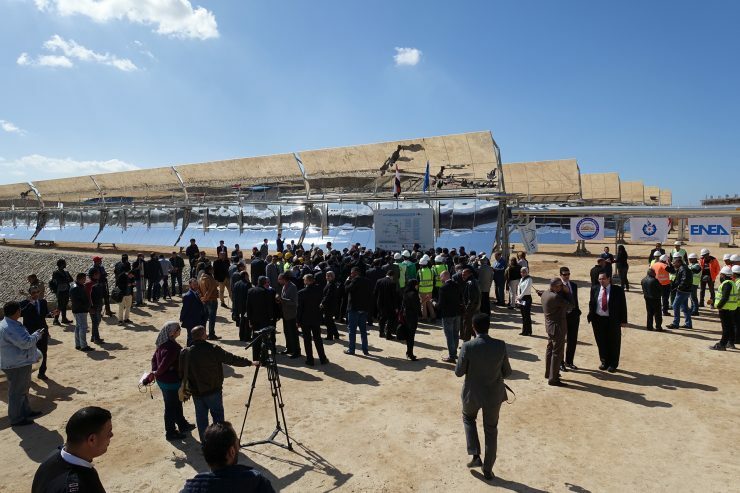 At the end of February the MATS power plant (Multipurpose Applications by Thermodynamic Solar) was officially inaugurated in Borg El Arab near Alexandria in Egypt. 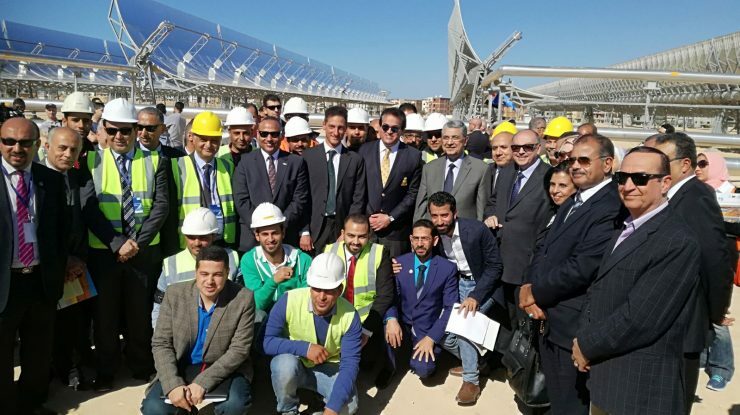 The solar thermal power plant is the first of its kind and was developed in a project with participants from research centers and industry from Italy, France, UK, Germany and Egypt. 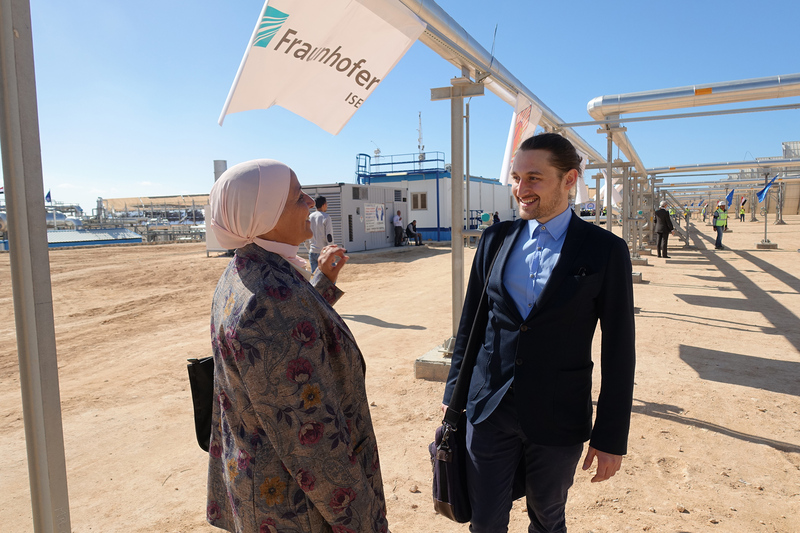 The project manager Martin Karl was present at the opening ceremony and represented Fraunhofer ISE who provided scientific support for the project. 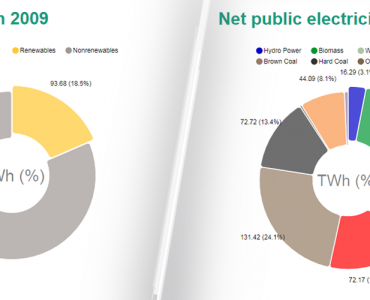 The MATS power plant with an electrical power of 1 MW is based on parabolic trough collectors with an area of 10,000 m². 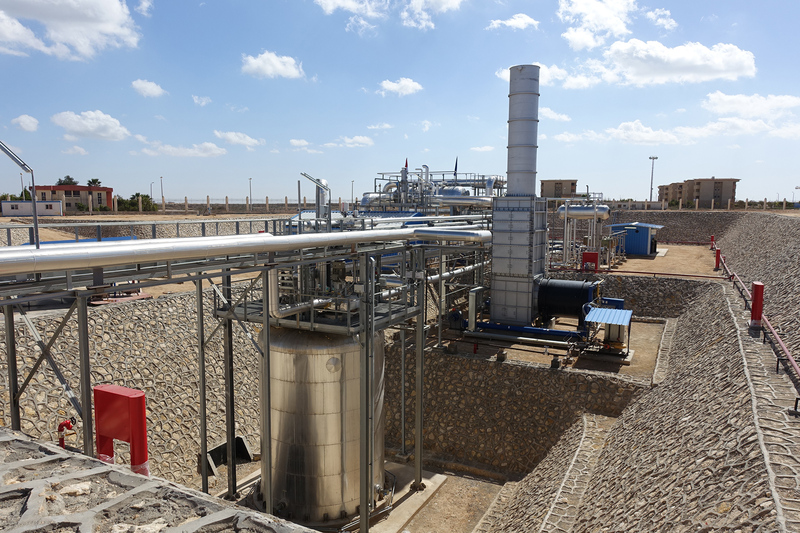 The plant meets the electricity demand of over 1000 people; the waste heat is utilized to desalinate 250,000 liters of water daily. Molten salt, a mixture of sodium and potassium nitrate, is used as the heat transfer fluid. In comparison to thermal oil, the typical heat transfer medium in conventional systems, molten salts are characterized by their safety, environmental friendliness and handling. They function under low pressures and high temperatures up to 550 °C, thus contributing to higher power plant efficiency. 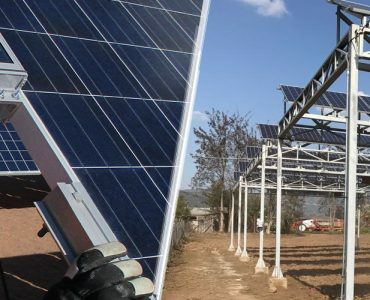 The coupling to a storage system allows the plant to provide continued electricity generation and desalination after sunset for up to four hours at times of especially intensive electrical energy demand. A particular feature of the MATS plant is the single tank storage (left) which stores both hot and cold salt (290 °C) in stratified layers in one tank, instead of the usual two. In addition, the steam generator is located within the storage tank, which reduces the investment costs. 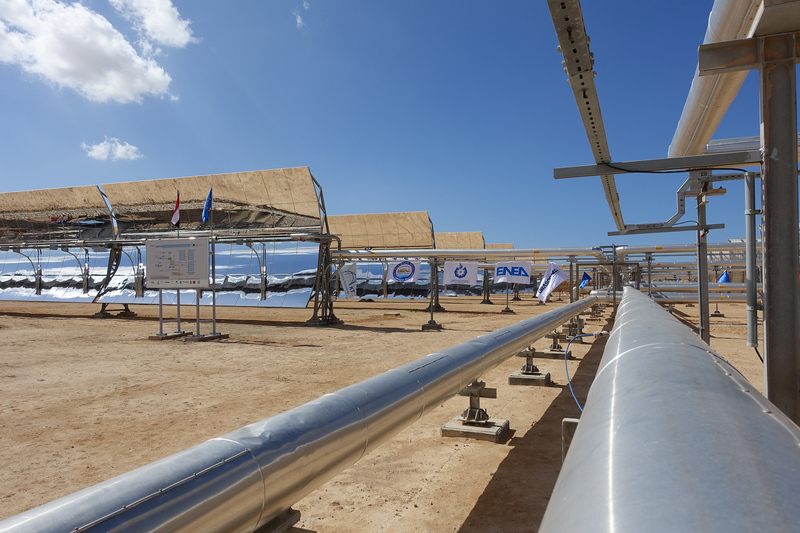 Through an auxiliary gas heater (right), power production and desalination can both be assured. 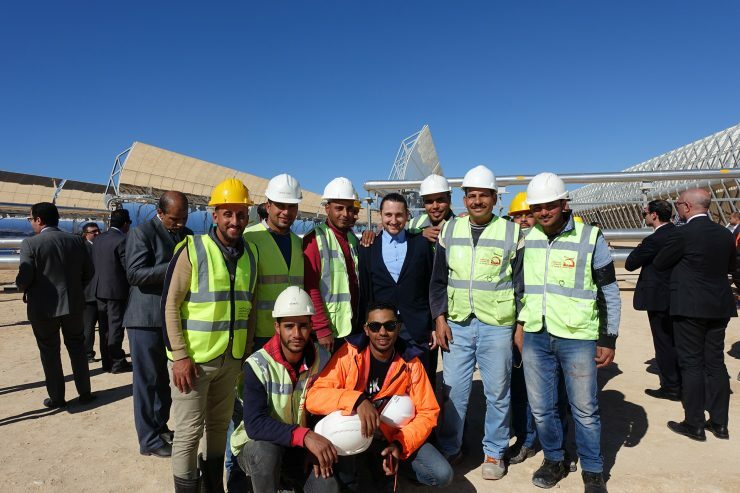 Large media presence: Besides the system’s integration in the local electricity, gas and water distribution grids, the project offers training courses, imparts technical expertise, and provides new employment possibilities for the region. 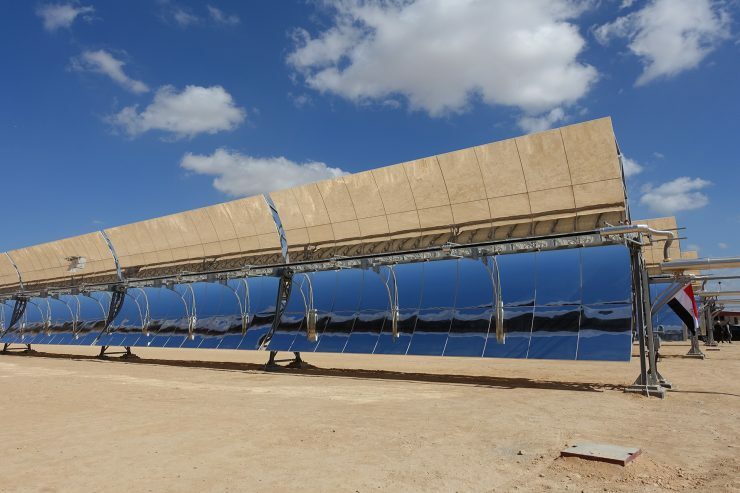 These all contribute to the further development of the renewable energy sector which is strategically important for North Africa in many ways. The project partners: Research institutes and industry partners from Italy, France, UK, Germany and Egypt are working together in the MATS project, which is coordinated by the Italian Agency for New Technologies, Energy and Sustainable Development ENEA. The research consortium aims to develop the semi-arid region into a center for technology and to strengthen the cooperation between the European Union and Egypt in the area of sustainable research, innovation and development. Waiting for the big event: Our colleague from Fraunhofer ISE Martin Karl waits with representatives of the media for the official ribbon-cutting ceremony. 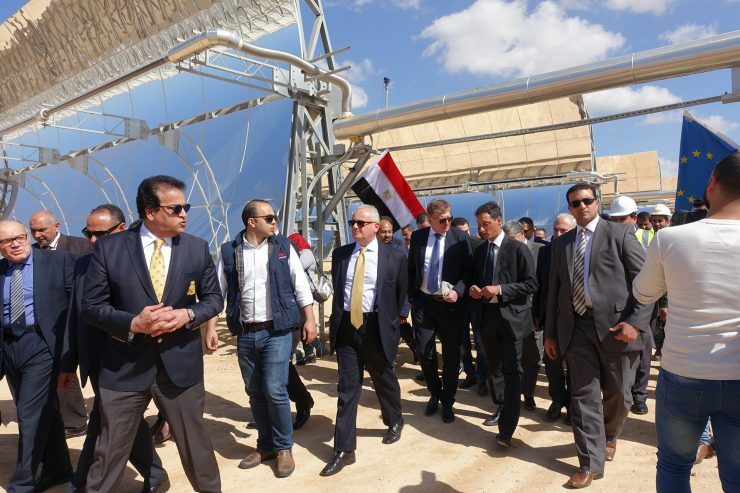 At the opening ceremony, the Egyptian Minister for Research and Higher Education, Khalid Atef Abdul Ghaffar (left), the Italian ambassador Giampaolo Cantini (third from left), James Moran, the ambassador of the EU in Egypt (third from right) and the MATS coordinator Dr. Alberto Giaconia (second from right). 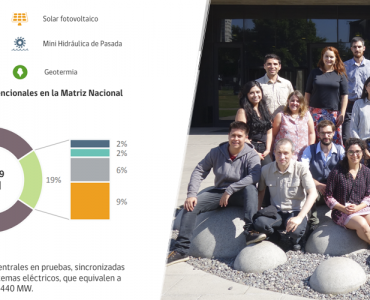 The MATS power plant is now in their hands: the plant operators with Martin Karl (in the middle).